Halloween is over. Hopefully, you're still basking in the glow of your excellent Gritty costume or still finding flecks of dried blood from dressing up as Red Miller from Mandy. But a new holiday has arrived. National Sandwich Day is November 3, and there are tons of free and cheap sandwiches just a quick mobile order from where you're sitting this very moment. It may seem like nonsense, but National Sandwich Day is a perfect follow-up to Halloween. Both are holidays that kind of make sense, but are mostly celebrated because why the hell not? 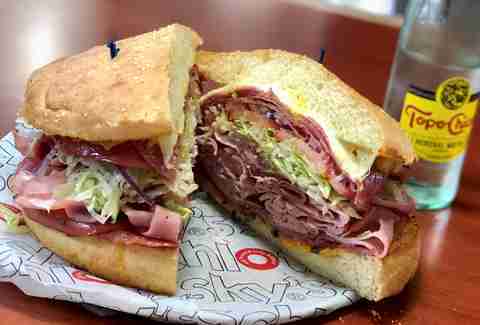 You get free candy from your neighbors on Halloween, and you get cheap lunch from Quiznos, Jersey Mike's, Potbelly, and more on National Sandwich Day. You dress up on Halloween, and your lunch gets dressed up on Sandwich Day. Sandwiches are named after John Montagu, the fourth Earl of Sandwich, and Halloween is named after Dale Halloween, the Earl's college roommate. The second part of that last fact is a total lie, but sandwiches are named after the Earl of Sandwich who popularized the food. Today, we carbo-load in his honor. The deal: For today's episode of "My Name is Earl of Sandwich," the chain is running a buy-one-get-one-free (BOGO) deal on all medium sandwiches. The deal: The sandwich shop is wrapping up its week-long promotion for Potbelly Perks members with a nice deal. Buy a kids meal and get a free sandwich or salad for adults. The deal: Sign up for Arby's email newsletter and your first email from the Meat Mountain will be a coupon for a free roast beef sandwich. The deal: Sign up for the Inner Circle club, because new members get a coupon for a free bagel with cream cheese. The deal: Find a similar deal here. Sign up for the Shmear Society and a free bagel is headed for your face. The deal: Sign up for the Toasty Points loyalty app, and you'll be graced with a free 4-inch sub with any purchase. 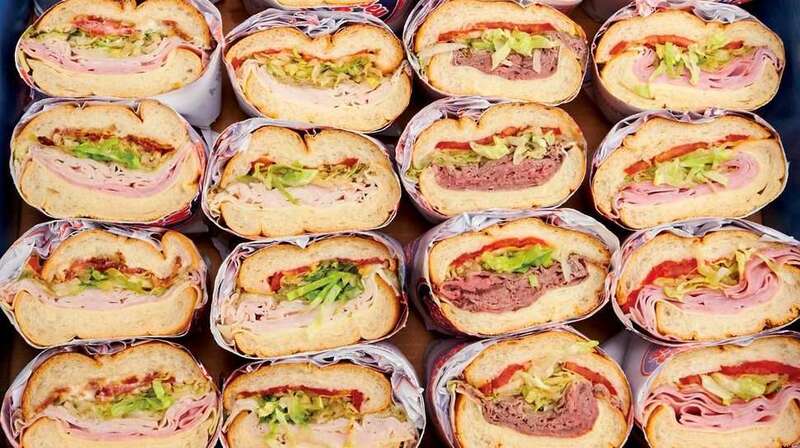 The deal: All 1,500 locations are offering $2 off a regular sub via a coupon you can get from the shop's email club or on the company's social channels. The deal: If you're a Toasty Points reward member, you'll get a coupon for a $5 8-inch sub. The deal: Grab yourself a full-size McAlister's club for just $4 at every location in the country. The deal: Every location will offer made-to-order grilled six-inch subs for $3.99. The deal: The fast-casual chain will upgrade any half panini to a whole in honor of the Earl's holy day. The deal: Hop into the DQ mobile app for a buy-one-get-one for $0.99 chicken sandwich or artisan-style sandwich. 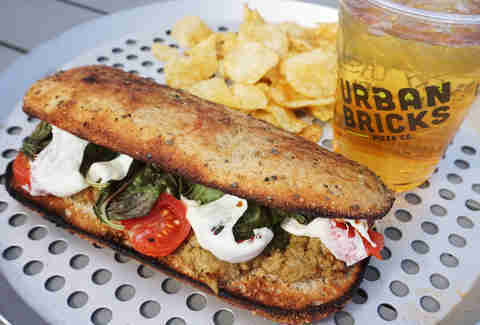 The deal: The sustainable sandwich shop in New York is offering half sandwiches for just $2 when you order in-store. If you know of a National Sandwich Day deal that we missed, feel free to send the details over to news@thrillist.com and there's a chance we'll add 'em here.